We specialize in instrumentation & electrical services. Our comprehensive I&E services can support your maintenance needs or construction project in its entirety from concept to completion of work. With vast expertise in the oil and gas industry, we’re familiar with the unique challenges often faced by both owners/operators and general contractors, and are experienced at overcoming them in the field. 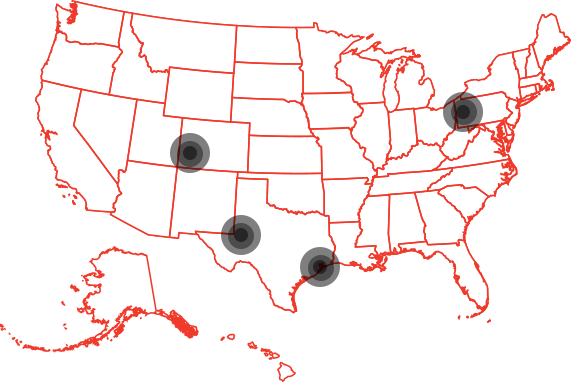 Bolt is also licensed in multiple states across various regions. This means we’re able to meet your I&E needs, wherever they may be, on-schedule and on-budget. Bringing a unique knowledge of crude facilities, as well as a proven ability to work efficiently and safely, Bolt led a challenging I&E installation at a Texas facility. In a joint effort, the client, mechanical group, and electrical group worked together in a very confined workspace, while the main facility was “hot”—causing safety to be a top concern. The schedule was tight and the drawings were very limited, requiring much of the installation to be field-engineered. Bolt offers careers with a strong emphasis in I&E services. Interested in joining our team? Bolt is part of the Strike family of companies.